The distant one: In Hong Kong, there were many claustrophobic Chinese furniture stores all trying to cramp as many pieces of furniture as possible because space had always been very limited. Each store was filled and stacked with uncomfortable mahogany hardwood furniture with no cushioning, and the air in the stores was permeated with scents of dry and somehow fragrant wood scents, for the lacquer could never seal the wood surfaces completely. It was my mom’s dream to fill the living room with traditional Chinese furniture that no one wanted to sit in and use, and when I was a kid, I got dragged along to visit those shops very often. I wanted to see toys, not chairs carved with dragons and phoenixes. Now I miss the days go shopping with my parents. The recent one: I was in a night market with my partner in Cambodia, and there’s a shop that sold wooden bead bracelets. Hundreds of bracelets were displayed in cabinets, and taped on the glass was a card that read, “Authentic oud bracelets. We do not sell phonies”. I never really cared for ouds before I had become a perfume addict, but at that moment, I wanted to ask the shopkeeper to show me one – imagine, a scented oud bracelet! My partner immediately stopped me in an angry tone, “Are you an idiot? This is a tourist area, these are of course phonies! Also, they are from China, they must be fake! Those bracelets must have been soaked in some chemical to give off that smell and colour, and if you wear it, the skin on your wrist will get burned.” Fine, when your partner lost his marbles like that, it’s time to tell him, “Look, there’s an UFO in the sky!” and run out of the store. As we were leaving, I could detect traces of supposedly oud in the air. 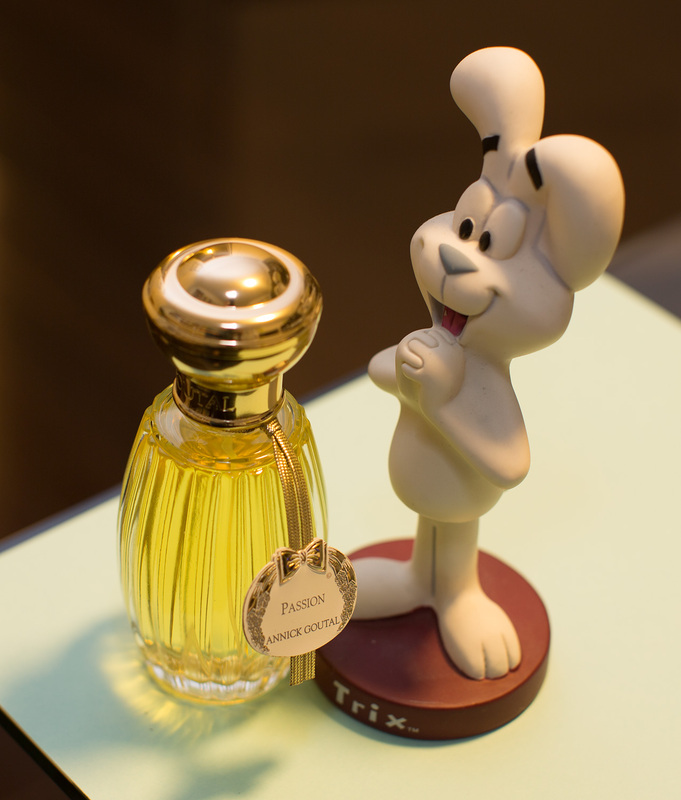 Now I have memories of my childhood and unfinished shopping distilled into a bottle of perfume. Smelling 1001 Ouds gives me instant solace – the smell of wood and oud in this perfume is never too sharp; and although the oud is not very strong in this scent, the strength of the wood in this scent helps extend its longevity, and it creates an illusion of a young piece of wood that has been infected by the oud virus not for too long. There’s also a little bitterness in the scent that makes it smell precious. When I am wearing it, I feel like I am a mature, well-travelled man with stories to tell and a drawer of ouddies to sell. I used to find Annick Goutal’s Passion merely a beautiful floral perfume, may be a little unusual and simple, but now I find it absolutely interesting, even funny. To make it simple, mothballs are camphorous. I wonder if Ms. Goutal’s true passion was pure cashmere sweaters instead of hunks, and her determination to protect them from moths. Adding just a little bit of a camphorous note to an otherwise typical and tropical ylang/jasmine/vanilla perfume was truly surprising and literally refreshing, (I think it’s the tomato leaf that she added) and the amount she added was just enough to make it minty and not make you think you are wearing a sweater taken out from an old dresser set up with poisonous darts and mothball canisters. 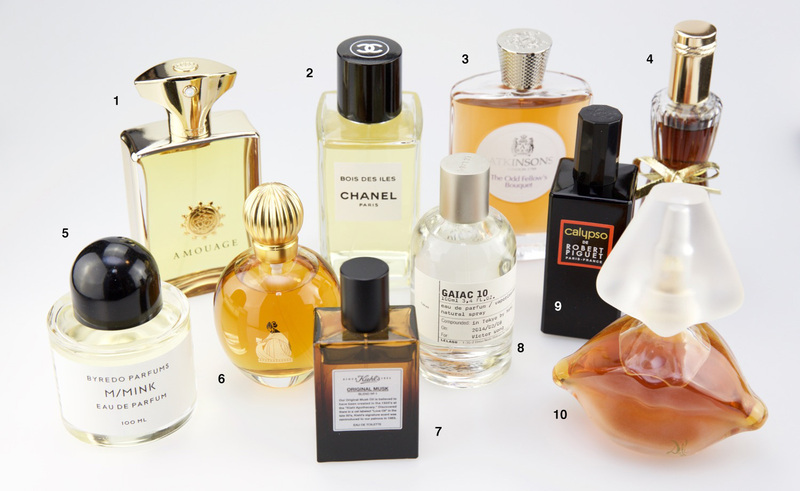 Now that I cannot un-notice there’s a nano mothball floating in my bottle Passion, nevertheless it makes it an unique perfume in my collection. In my head there’s a mini war going on… Should I bring Miss Rose home? I already have a lot of rose perfumes. Ombre Rose, Robert Piguet’s Rose Perfection, even Portrait of a Lady… well, who am I kidding, I of course lost. What a meaningless war. I bought a bottle. I was upset, I tore open the shrink-wrap and sprayed myself crazy. I levitated a full inch above ground and floated around the living room like a piece of cloud. He came back smelling refreshed and minty, and smiling. They walked for about thirty minutes without talking to each other, and no emotions were exchanged. They found a bench and sat down. He started looking around for some pretty flowers; may be he could pick one and present it to her to make the evening more romantic, but all he saw were pine trees and fir and some boring looking wild flowers that smelled herbal. “Let’s go. I’m bored,” she said. There’s only one star in the sky. Are dreams an extension of physical reality? After all, no one but you have experienced your own dreams. If one says, “I dreamt of you yesterday night”, it could be the sweetest thing to tell or the best lie ever as there are definitely no witnesses. I only remember my nightmares, or some “ridiculous” dreams, but never a sweet dream. Not too sure if I have had any sweet dreams at all. 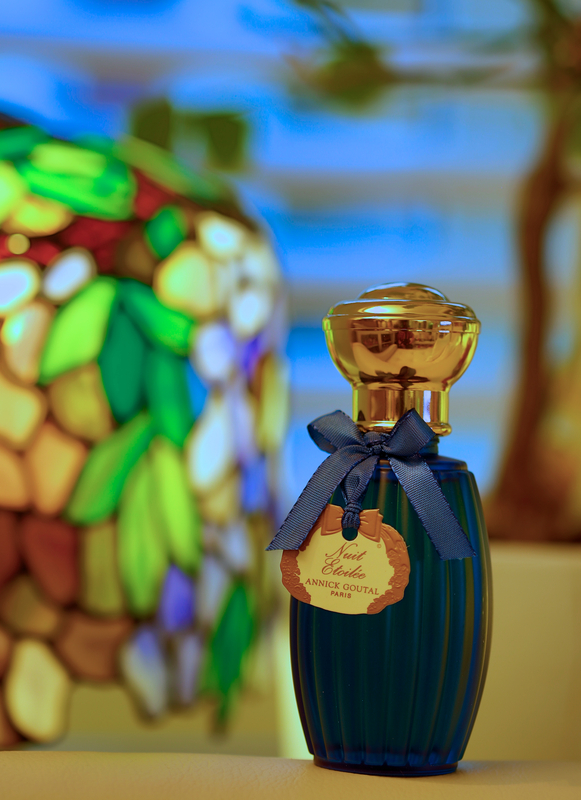 That is why Annick Goutal’s Songes (“Dreams”) is such an irony – if it were a manifestation of a dream, it would be a wonderful sweet dream and anyone can experience your dream in public. 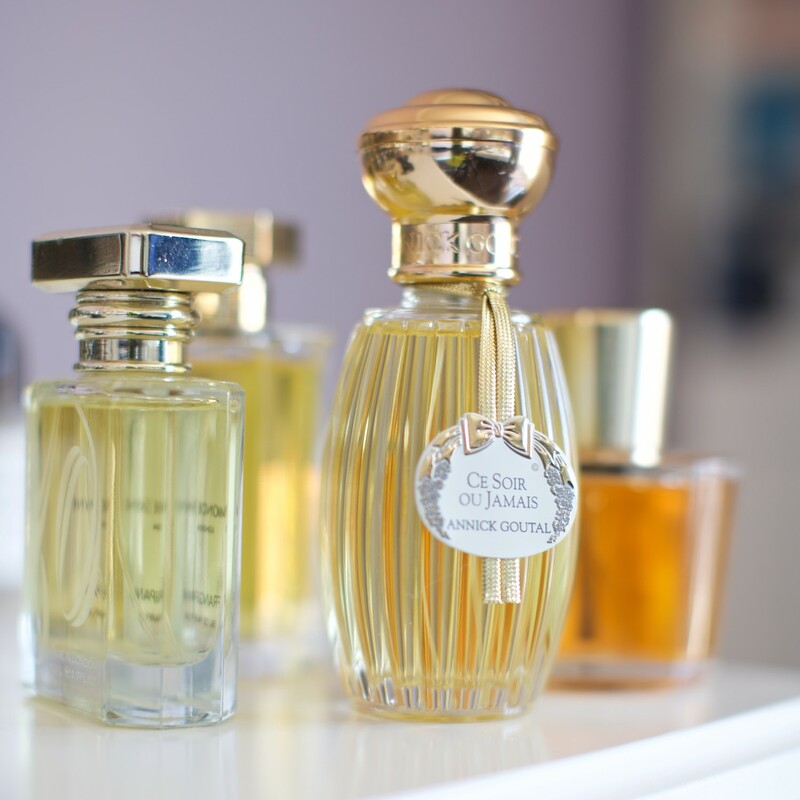 Songes is my first Annick Goutal perfume. I never sought them out, because the packaging didn’t appeal to me. They looked like spice bottles with tiny plain-looking labels, and all the spices have the same colour, light yellow. 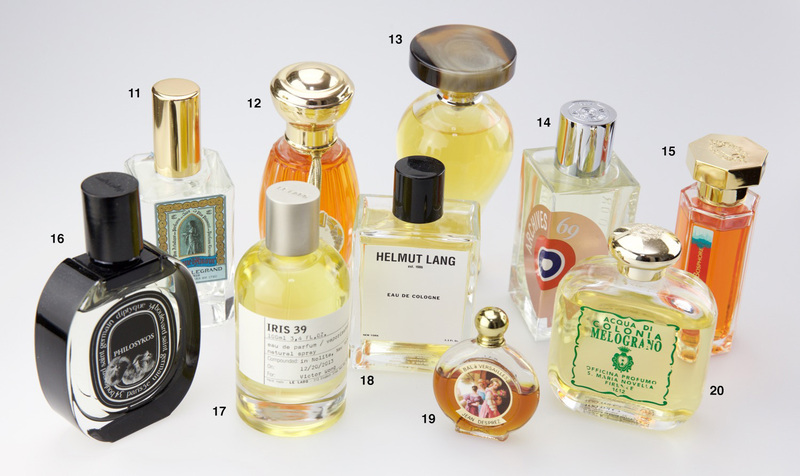 (Yes, I like Le Labo’s, don’t ask me why.) Until recently, my local department store has started carrying them and I finally got the chance to smell her creations. Songes was love at first sniff. With Jasmine, yang, frangipani, Tiare gardenia, and vanilla, you can almost see a fume cloud of sweet white floral pulsating. It is also like one of those bridal photos in which you can see a group of bridesmaids in white smiling and giggling. But these bridesmaids are big ladies, so go easy with the sprayer or it will be like telling them there’s free cake in a small room, and they are staying in there for at least 12 hours. Songes is not completely linear, a few hours later, the dry down reveals a little bit of woodiness, but overall, it’s a lovely scent with super longevity and sillage.